Elementary Matters: Happy Presidents Day! Monday is Presidents Day! I plan on spending most of next week celebrating our presidents as well as our country! If you've been following my blog, you know I have a strong sense of patriotism, and feel children should take pride in their country. I also LOVE teaching social studies and mapping skills. Here's a freebie that I made that includes 2 fact mini-books. One is on George Washington, and the other is on Abraham Lincoln. It also has a mapping activity, finding places related to these presidents. Click the image for the freebie! 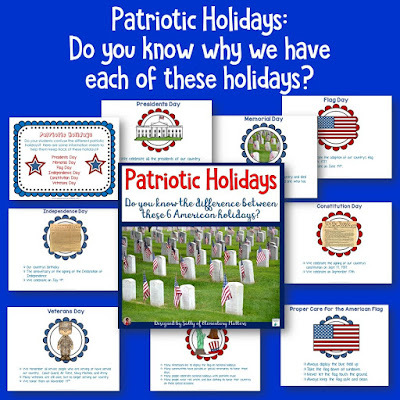 Here's another freebie to review the difference between most of the patriotic holidays we have through the year: Presidents Day, Memorial Day, Flag Day, Independence Day, Constitution Day and Veterans Day. I don't know about you, but my little second graders struggle to remember which one is which! Of course, you'll be needing brain breaks! Here's one more freebie! 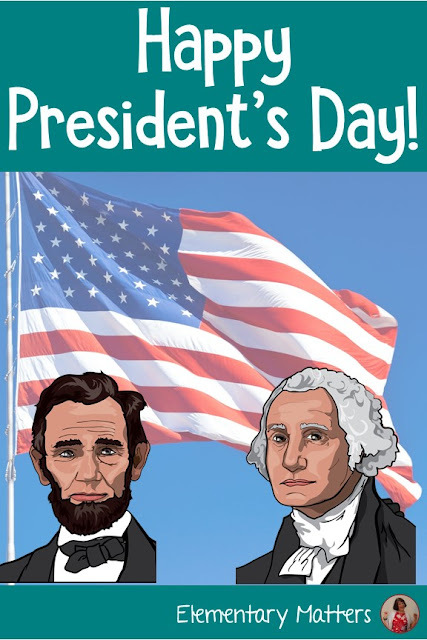 Looking for more Presidents Day freebies? 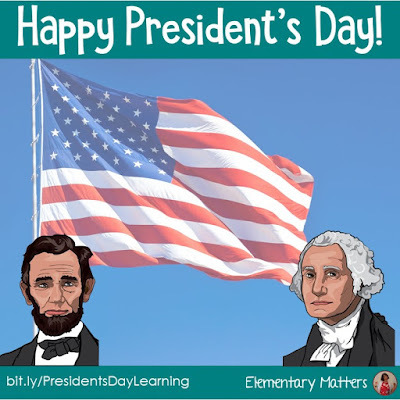 I have plenty of Presidents Day resources on my February Pinterest board, and most of it is free! 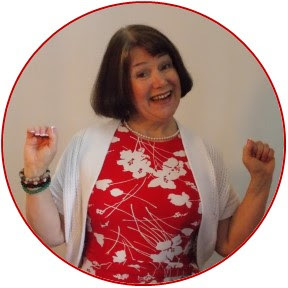 Click HERE to see my February Pinterest board. 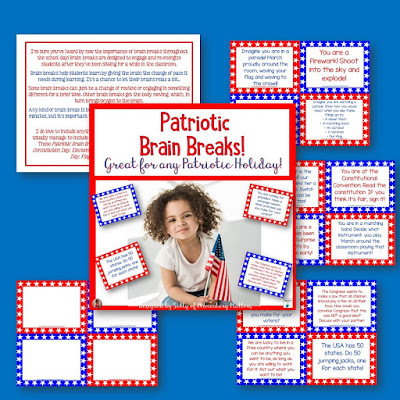 This is a lengthier, paid version of the presidential mini-books freebie. 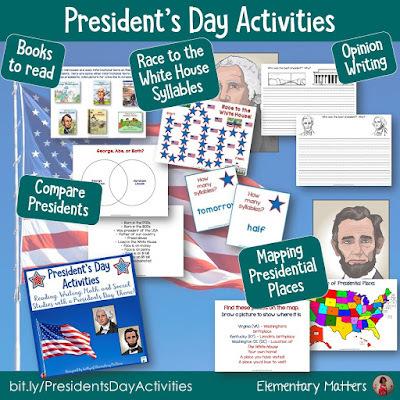 It includes everything the freebie includes, plus a compare and contrast activity comparing the 2 different presidents. There are also 2 games to practice word work, a graphing activity, a mapping activity, and an opinion writing activity. 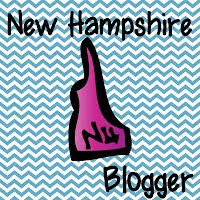 Click the image or click here for the link! 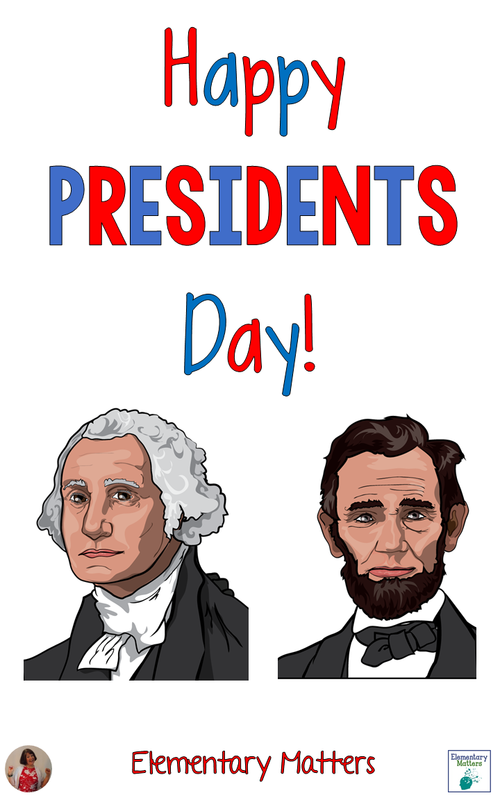 President's Day 5 Different Games and Activities! 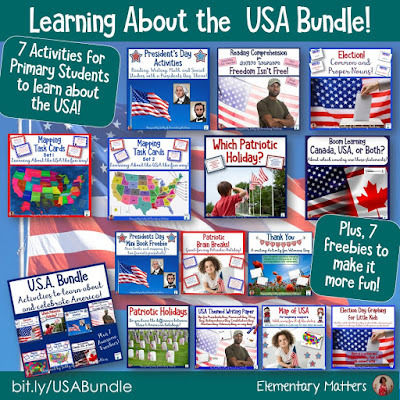 If you're looking for more, I do have a whole USA Bundle that includes the above items and several others here: USA Bundle. 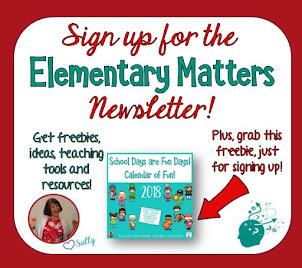 What wonderful freebies - thanks for sharing! So You Want to be President is one of my favorite books and definitely a must-read for next week! Glad you like the freebies! I did find out I can wear jeans on Monday. That's almost like a day off! These little mini books ROCK!! What a great freebie! Thanks for linking up!